Happy Friday! 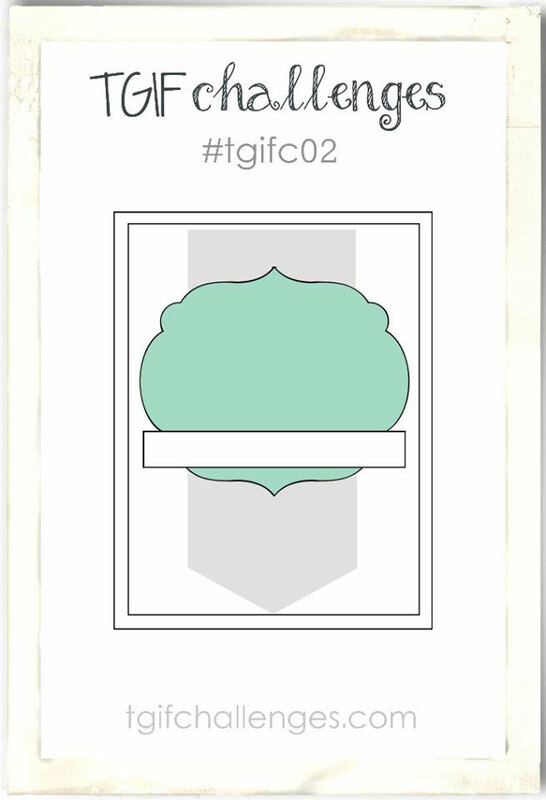 Friday's are especially exciting now because it means that there is a new TGIF Challenge! Last week's challenge was a major success with almost 40 entries. A big thank you to everyone who entered! If you didn't have a chance to participate last week I hope you join us for this week's challenge. For the challenge this week you have to follow along with the sketch, but think of it as a guideline. As I look at the sketch now, I'm realizing that my card drifted away from the sketch. That is okay though, the sketch still inspired me with a centered vertical element and a cluster of items in the top third of the card. 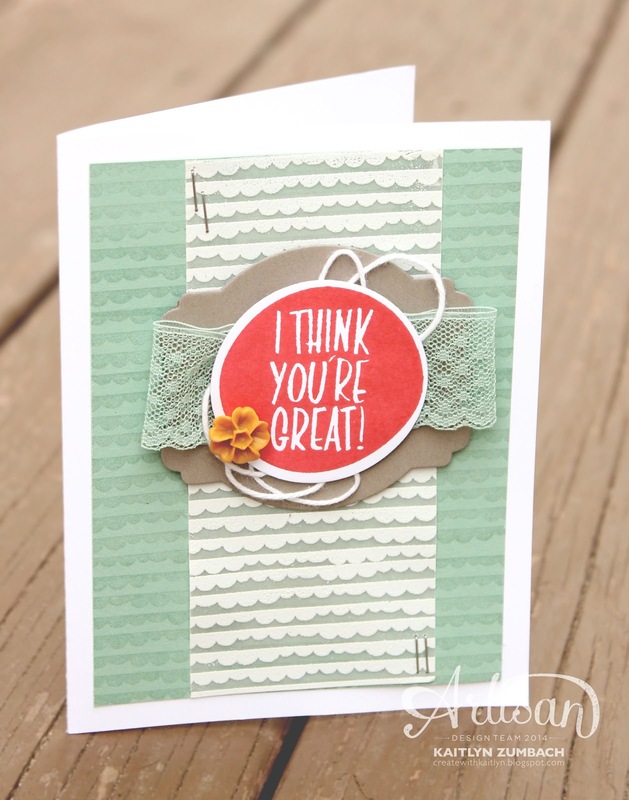 You will notice some new products on this card, starting with the I Think You're Great Stamp Set. I also used some new In Colors and fun embellishments. My favorite part about this card is the vertical element that came from the sketch. This is something I never would have done on my own but I love how it turned out. I didn't want the vertical element to take over the card, so I kept it subtle with the same pattern from the background embossed on Vellum Card Stock. Go check out what the other designers have created and participate in the challenge yourself! 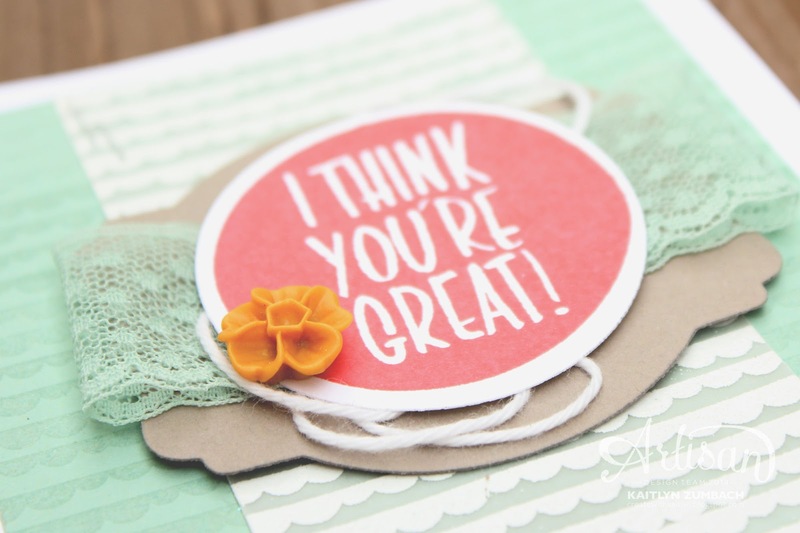 Much like the sentiment you chose...I think your (card is) great! Love the look of the "background" and it's a beautiful centerpiece! Vellum - one of my favourite products and you have used it to fabulous effect here in your background. Loving seeing some of the new catalogue goodies in action and that mint - such a gorgeous colour.